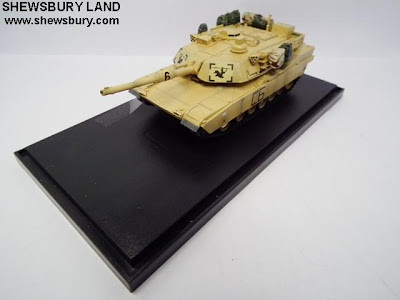 1/72 M1A2 Abrams 4th Infantry Div. This is the 1/72 M1A2 Abrams 4th Infantry Div. 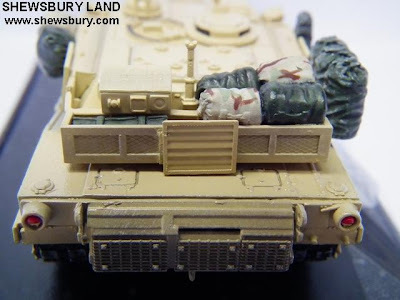 of US Army. 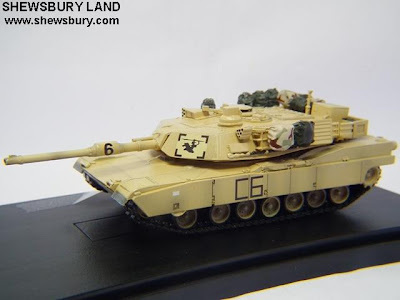 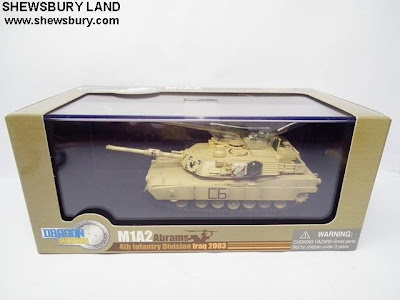 This model is the US M1A2 Abrams belonging to the 4th. Infantry Division which advanced into Baghdad in 2003. 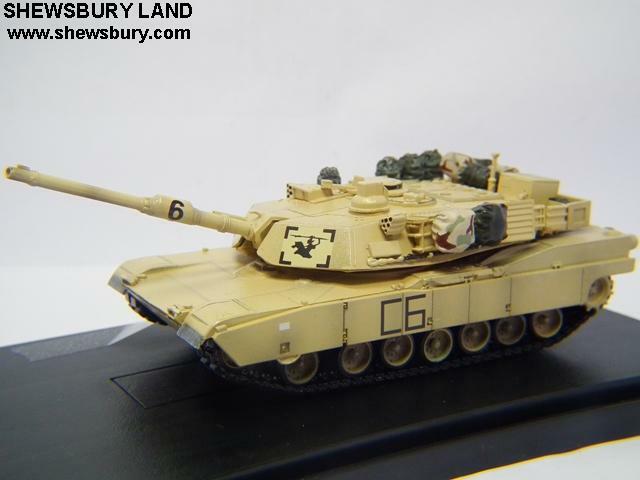 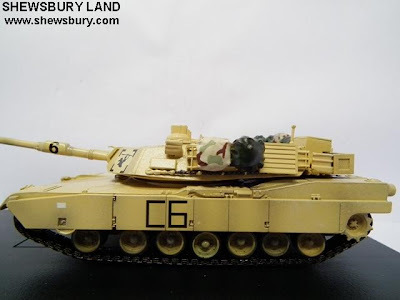 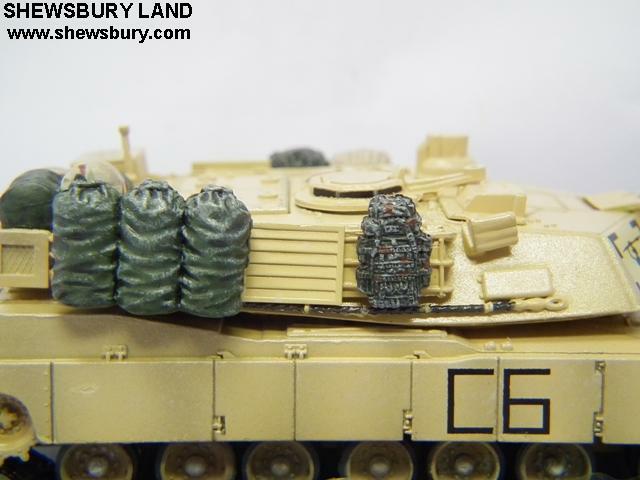 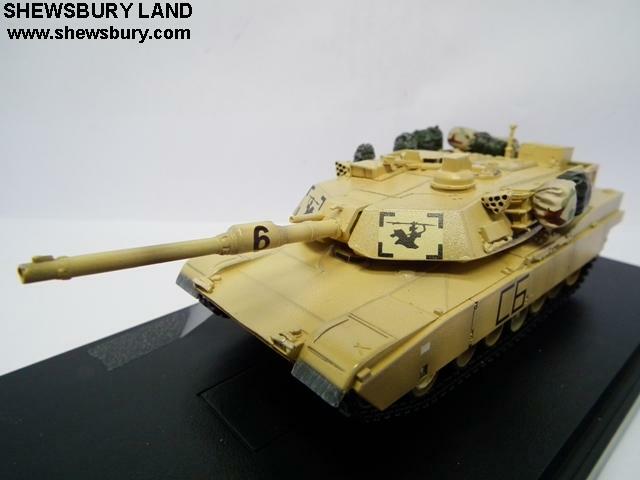 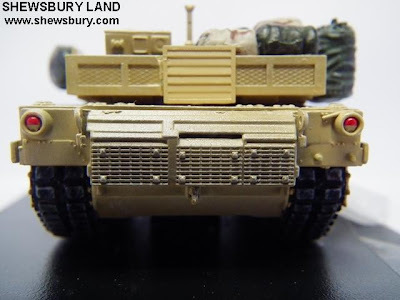 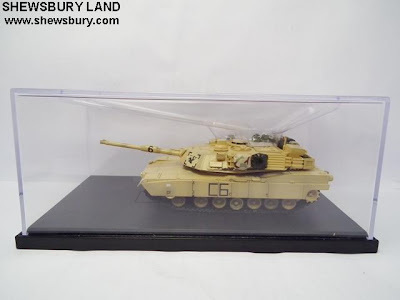 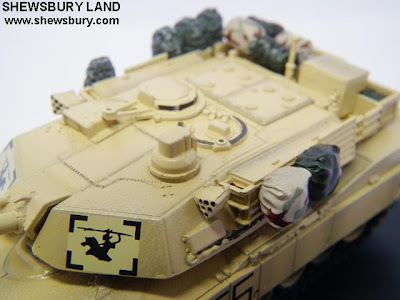 Produced by Dragon Models, the paint and markings are in sand yellow camouflage scheme; the Commander's Independent Thermal Viewer (CITV), CIP panels, backpacks and duffel bags for the tank crew are provided to enhance the realistic appearance of the model. Beautifully dry-brushed and weathered. Highly-detailed model and beautifully painted, marked and weather-finished, an absolute brilliant item for display and collectors. You should grab this to show your support to the American troops in Iraq or if you are a tank model collector who love products with excellent finishing.